Indian Bank PO 2018 - Indian Bank has released the Indian Bank PO mains scorecard and the interview call letter on December 18. Candidates can check their score and download the interview call letter by entering registration number and date of birth in the login window. The result and cut off of Indian Bank mains exam was declared on December 14. The result has been declared in the form of pdf wherein candidates can check their roll number. Earlier, the authority had released the scorecard and cutoff of Indian Bank PO prelims examination on November 13, 2018. The result of Indian Bank PO 2018 prelims exam was announced on October 18 in online mode. The mains exam was conducted on November 4, 2018, in online mode in multiple shifts in 93 states across India. All the selected candidates will have to undergo one year of post graduate diploma in banking and finance (PGDBF) conducted at Indian Bank Manipal School of Banking (IBMSB), Bangalore. After completing the course, candidates will be appointed in JMG – I as Probationary Officer at Indian Bank. Indian Bank PO 2018 is a national level examination conducted in three stages – Preliminary, Mains and Personal Interview. Indian Bank has released the mains scorecard on December 18 in online mode. The result was declared on December 14. Earlier, the result of Indian Bank PO 2018 prelims exam was released on October 18, 2018. The Indian Bank PO result includes the roll numbers of only the qualified candidates. Candidates can check below the steps to download scorecard and result. How to check Indian Bank PO 2018 scorecard? How to check Indian Bank PO 2018 Result? Indian Bank has released the Indian Bank PO 2018 cutoff for mains exam on December 14. 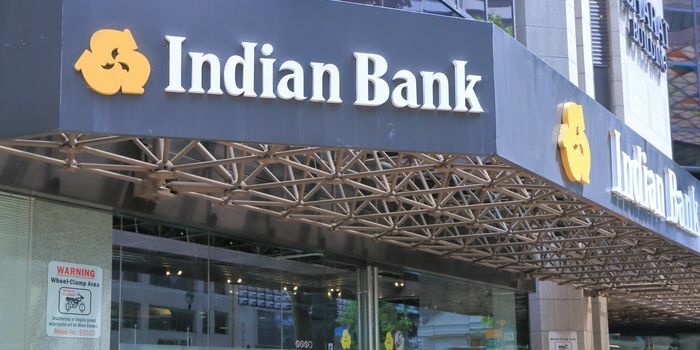 Earlier, it had declared the Indian Bank PO prelims cutoff on November 13, 2018. Candidates can now check the category-wise and section-wise cutoff. Indian Bank PO 2018 cutoff is the minimum qualifying marks that candidates have to score in order to pass the examination. Indian Bank releases the Indian Bank PO cutoff 2018 separately for the prelims and mains. Candidates are required to obtain equal to or more than the sectional cut off in each stage of the online examination and also overall cut off. Indian Bank PO has released the interview call letter on December 18 in online mode along with the scorecard. Admit card 2018 for mains exam was issued online on October 23. Candidates could download the admit card of Indian Bank PO mains exam till the exam day, November 4. Admit card of Indian Bank PO prelims exam was released on September 26 and could be downloaded till the exam day. For all three stages (prelims, mains and personal interview), admit card is released separately. Indian Bank PO 2018 admit card was sent via mail to the registered email address. Candidates who had successfully completed their registration process, received their admit cards. The admit card of Indian Bank PO 2018 contained - candidate's name, date of birth, the address of exam centre and time of examination. Candidates could download the admit card by following the process given below. Candidates had to carry anyone valid identity proof such as Voter ID Card, Aadhar Card, Pan Card, Passport along with their admit card on the day of examination to the exam centre. The important dates of Indian Bank PO 2018 include dates related to different stages of the exam like, starting and closing date of application form, admit card, result etc. Candidates can check below Indian Bank PO exam dates in 2018. Indian Bank prescribes the eligibility criteria of Indian Bank PO 2018. It is important for the candidates to check the Indian Bank PO 2018 eligibility criteria before applying for it online. The eligibility criteria include requirements based on age and educational qualification. Candidates must be between 20 to 30 years of age. However, the reserved category candidates get some relaxation in upper age limit. Candidates who want to apply for Indian Bank PO 2018 must have a graduation degree in any discipline from a recognized university or any equivalent qualification recognized by the Central Government. The application form of Indian Bank PO 2018 was available online from August 1 to 27. While filling the Indian Bank PO application form 2018, candidates had to enter their personal details, educational details, upload scanned photograph, signature and pay the application fee. Candidates must go through the following steps to fill the application form of Indian Bank PO 2018. Candidates must keep the following documents ready with themselves while filling up the form. The venues where the exam are conducted are the exam centres of Indian Bank PO 2018. Indian Bank releases a list of exam centres for prelims and mains exam separately. Given below is a list of states and cities where Indian Bank PO exam centres 2018 will be located. The exam pattern of Indian Bank PO 2018 is decided by Indian Bank. Indian Bank PO 2018 exam pattern contains important information about the exam like nature of questions, marking scheme, mode of exam, time duration, etc. As per the exam pattern of Indian Bank PO 2018, 0.25 marks will be deducted for every wrong answer whereas each correct answer will be given 1 mark in the prelims exam. It is important for the candidates to check the exam pattern before start preparing for the exam. Candidates shortlisted in the mains examination will be called for an interview. Candidates will be informed through email or SMS to their registered email ID and mobile number. The address of the venue, centre, time and date of interview will be mentioned in the call letter. Candidates can download their interview call letter from the official website by entering their registration number and date of birth/password. All the candidates have to bring all the original documents mentioned in the call letter. Indian Bank PO syllabus 2018 includes important subjects and topics from where the questions in the exam will be asked. By following Indian Bank PO syllabus candidates can prepare well for the prelims and mains exam. Each topic in the Indian Bank PO 2018 syllabus is important. The syllabus includes topics based on objective sections (Reasoning and Quantitative Aptitude, English Language and General/Banking/Economy Awareness, Data Analysis & Interpretation and one descriptive section (Letter and Essay Writing). The recruitment process of Indian Bank PO 2018 will be done in three stages that are prelims, mains, and interview. Candidates will have to qualify in all the three stages by securing minimum cutoff marks decided by Indian Bank. The first stage of selection is the prelims exam. Candidates shortlisted in this stage will have to appear for the mains exam. The candidates who will qualify the Indian Bank PO 2018 mains exam will be called for personal interview which is the last stage of the selection procedure. While preparing the final merit list, marks of mains exam and interview will be given weightage of 80:20 respectively. The selected students will have to undergo a one-year programme comprising of four trimesters. First three trimesters would be conducted at Indian Bank Manipal School of Banking (IBMSB), Bangalore. In the fourth trimester students have to undergo three months internship at any of the Indian Bank Branches. To pursue the Probationary Officer Training Programme, interested candidates have to pay the course fee at IBMSB, Bangalore. The fees for the Course is Rs.3,50,000 (Three Lakhs and Fifty Thousand) plus taxes (all inclusive of boarding, lodging and course fees, other fees, etc). The Bank will provide educational loan facility to all the selected candidates on the terms and conditions as applicable to the educational loan. All the candidates who complete the – Post Graduate Diploma in Banking and Finance will be awarded the diploma certificate and appointment in JMG I in Indian Bank. The pay scale of Indian Bank PO 2018 will be same as applicable to the starting pay scale of JMGS I Officer. Your Indian Bank PO brochure has been successfully mailed to your registered email id .